As I've often opined, for me, rock music can be far more than merely entertaining. 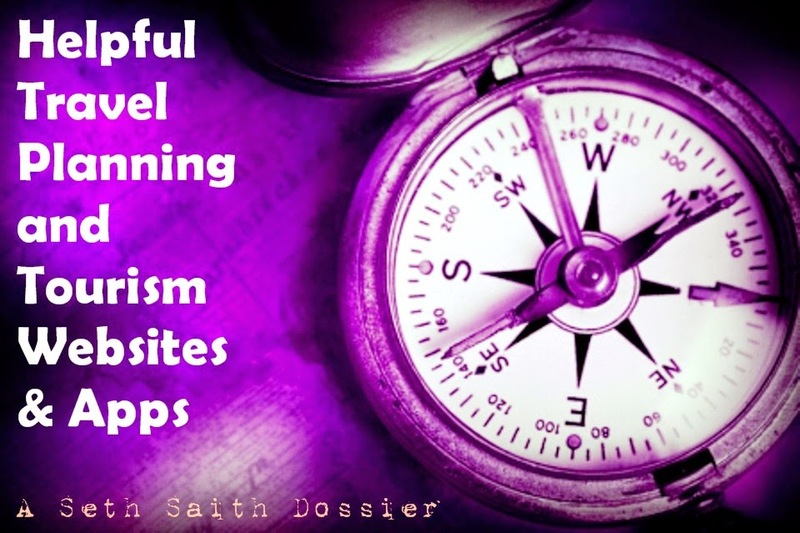 It can be insightful, illuminating, inspirational, motivational, spiritual, therapeutic, restorative, sustaining, life-affirming, soul-enhancing, even world-changing. 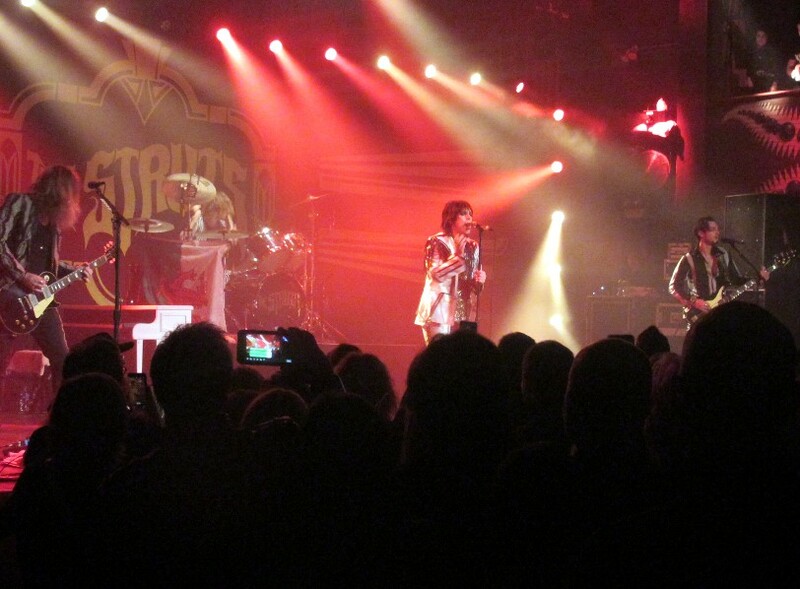 And more than any band I know of, especially in terms of newish ones, the Struts are unabashedly fun. I won't debate anyone who finds the British quartet too retro or overly derivative. I'm having similar issues with Greta Van Fleet, who I feel are aping Led Zeppelin without proper appreciation for all that went into Zeppelin (influences, contemporaries, etc.). Certainly, Struts singer Luke Spiller wears his heroes on his sleeves. 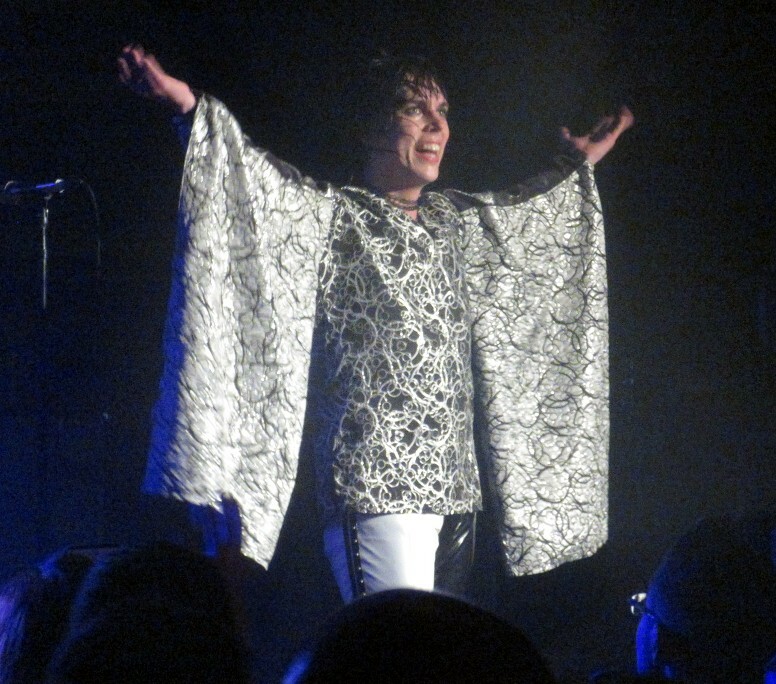 At least in the past--per Wikipedia--and I have to imagine it remains true, Spiller's stagewear was designed for him by Zandra Rhodes, who formerly dressed Freddie Mercury. So yes, the Struts remind quite a bit of Queen, without my suggesting they're nearly as brilliant. And they also remind of the Darkness, another retro British band that was quite a bit of over-the-top fun until they disappeared rather quickly. But while I think it may be time the Struts develop material devoid of such obvious sonic allusions, they rise above being slagged as little more than imitators of greatness--as I perceive Greta Van Fleet--for a few reasons. First, though their songs sound like those by classic rock forebearers, they aren't pure ripoffs and are largely inventive, really catchy and remarkably fun. 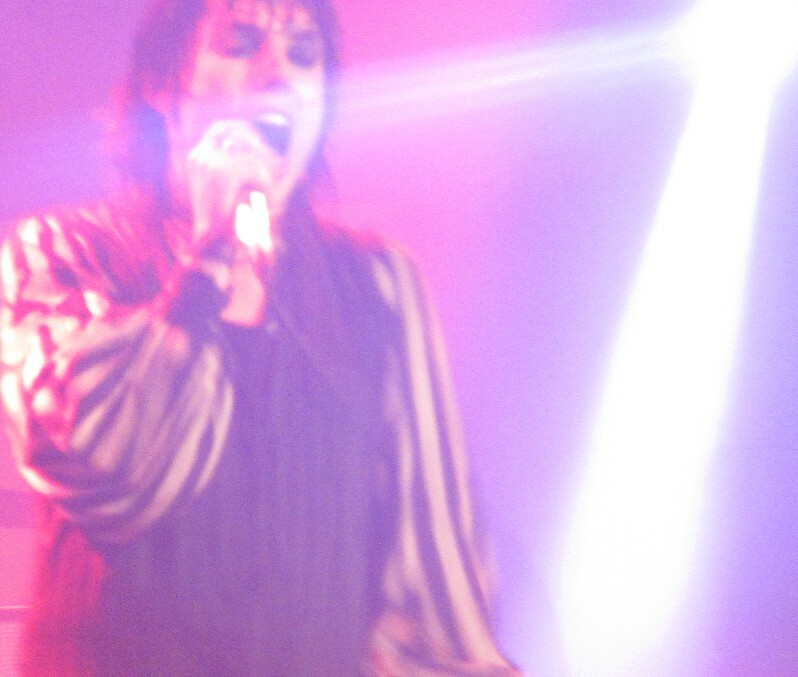 Next, though Spiller seems akin to a video game avatar of the great Mercury--with a bit of Mick Jagger and Steven Tyler mixed in--he has a self-aware stage presence and an insanely great voice. Finally, as I get to some specifics about their sold out headlining concert Saturday at Chicago's House of Blues--which they also packed on Friday--the Struts rock ridiculously hard and aren't cheating anyone. 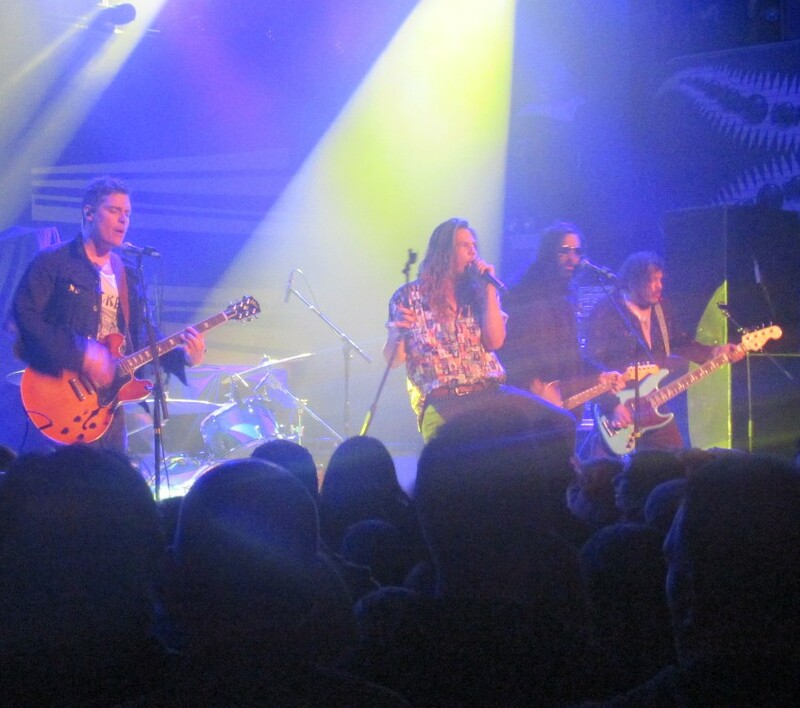 For $27.50, they delivered a delectable 2-hour show that seemed to delight everyone to the point of mass exertion and exhaustion, preceded by a strong opening set by the Glorious Sons. That band, hailing from Kingston, Ontario, Canada, also pays clear homage to rock 'n roll predecessors. But especially for a band opening for another that isn't that famous, by the end of their 40 minutes--including a great cover of the Stones' "Gimme Shelter"--the Glorious Sons hard-charging sound left me considerably impressed. As for the Struts, I'm a tad chagrined that a band so right up my alley existed for about 5 years--their debut album, Everybody Wants, was released in the UK in 2014, with a U.S. reissue in 2016--as I remained oblivious, until this summer when they opened for the Foo Fighters at Wrigley Field. As I wrote then, it was love at first Spotify, just a few days before the show. And then Spiller, guitarist Adam Slack, bassist Jed Elliott and drummer Gethin Davies ripped up the Friendly Confines--as did the Foos--prompting me to want to see a full show. Fortunately--given how many others already seemed to know of the Struts, despite a relative lack of U.S. chart success--I was able to not only get a ticket to House of Blues, but a seat. Somewhat surprisingly, most of the crowd seemed to be--like me--a good bit older than the band members. 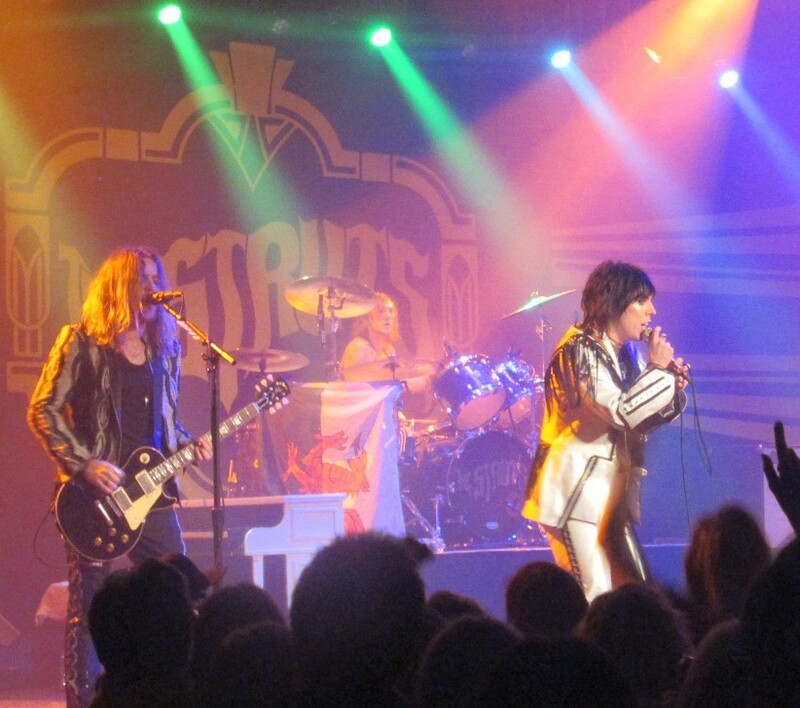 I guess the Struts' representing rock's future might be too much to ask, but they certainly do justice to its past in the present. Even though I had a stool along a railing and attend numerous concerts alone, I didn't feel all that comfortable being boxed in by the big crowd, especially with a big dude with a broken arm right alongside me. But any creature discomfort was rendered inconsequential, as I relished every moment of the Struts' super-charged show. The band's second album--Young & Dangerous--was just released in late-October, and a couple of blazers from it, "Primadonna Like Me" and "Body Talks," kicked things off with a high-volume blast that never really let up. 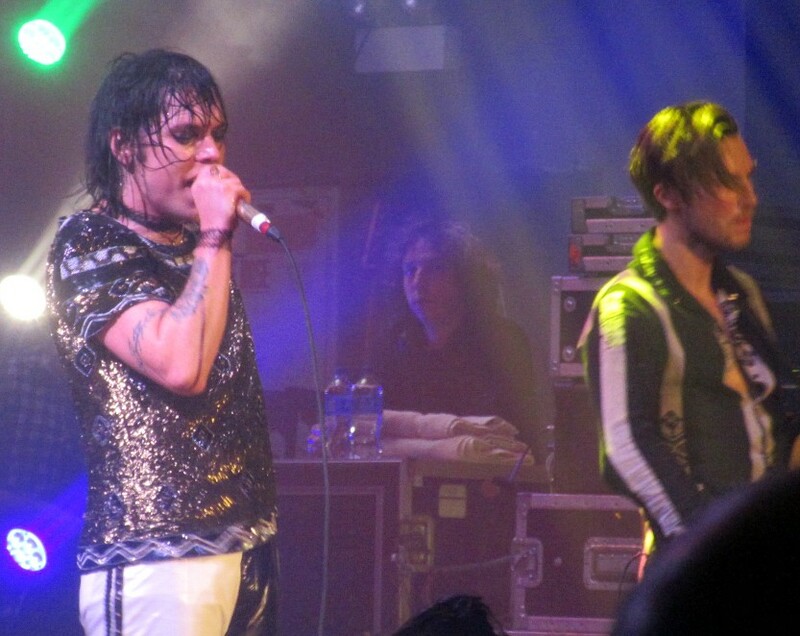 You can see the setlist here, which probably won't mean much unless you know the Struts' oeuvre, but while a few songs are sillier than others, nothing played failed to delight. Although it didn't acutely shock me given perusals of past setlists, a cover of Bruce Springsteen's "Dancing in the Dark" seemed an unsuspecting choice, but they pulled it off with aplomb. Searching for a "Courteney Cox" from the audience--she danced with the Boss in the video long before Friends fame--Spiller pulled an enthusiastic young woman named Patti (if I heard right), who nearly upstaged him. 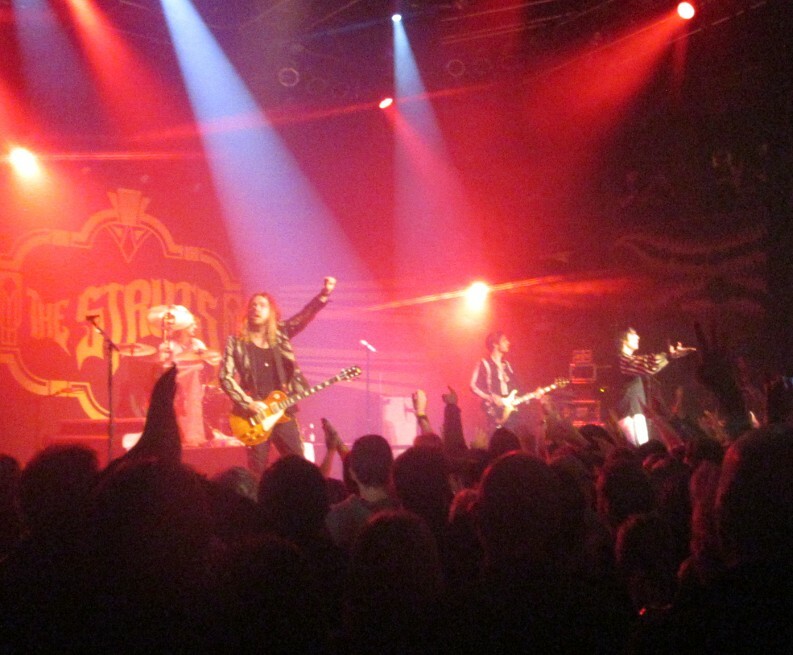 Though it came mid-set, the extended cover help pushed the Struts' time onstage to nearly 2 hours, covering just 16 songs plus a bit of a blues vamp. On "One Night Only" and "Somebody New," Spiller demonstrated skill on the piano--also in a Mercuryesque sort of way--and the latter ballad (from Young & Dangerous) was perhaps the best example of the band forging some new territory of their own. Though I abstained, the singer also frequently exhorted the crowd to dance and jump, and on main-set closer, "Where Did She Go?" the joint nearly exploded. I also liked what Spiller had to say, from graciously thanking the crowd to conveying not to care what others may think of you to recalling Chicago as the city that--on an early tour--first convinced the Struts that a sustainable career was feasible. I've heard such stage talk before, but from a guy who's undoubtedly been derided for playing dress-up, it sounded quite earnest. And as the Struts closed a smoking show with their best song, "Could Have Been Me," espousing the thought of never wanting to look back with regret at what you didn't do, I was quite glad to be present. Despite what Bohemian Rhapsody and numerous concert videos portray, I'll never really know what it was like to have seen Queen. But I'm pretty sure, that along with much else, the experience would've been really damn fun. And to whatever extent they traipse an ersatz existence--or may be perceived as such--that aspect of seeing the Struts felt genuinely comparable.